Even though I didn’t plan it, this is my third legal blog post in a row. 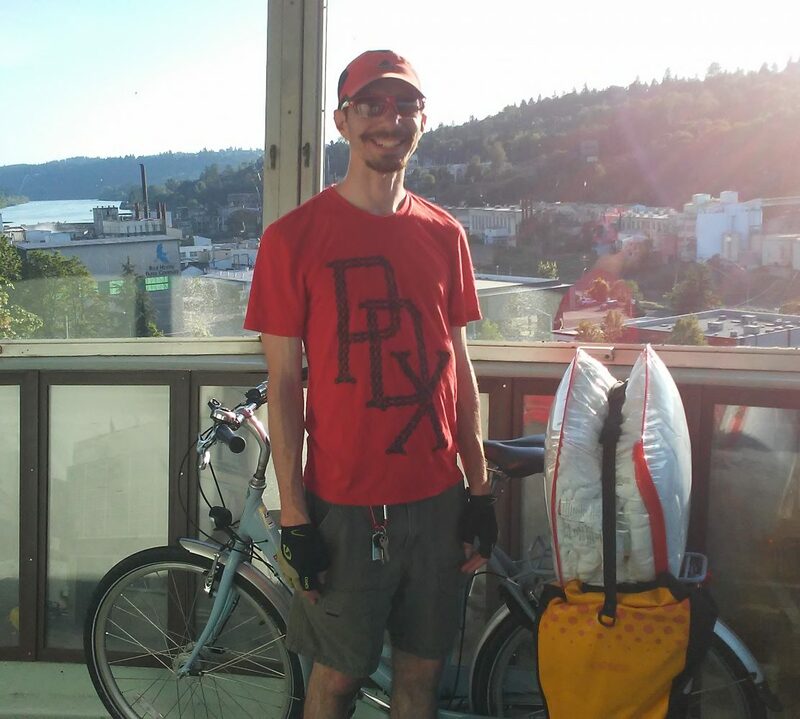 I was biking along the SE Salmon/Taylor neighborhood greenway during my lunch break yesterday (Thursday) when I almost got hit by a motorist going full speed through a stop sign. The motorist was driving southbound on SE 37th Avenue and must not have seen the stop sign because she didn’t slow down. The intersection of SE Taylor Street and SE 37th Avenue doesn’t have a stop sign when biking on SE Taylor Street so I wasn’t prepared to stop. Since the two southbound lanes of SE Cesar Chavez Blvd (39th) had bumper to bumper congestion in this area due to construction, the motorist was likely trying to bypass the congestion by using neighborhood streets. The southbound lanes are on the right side of the road so I’m going to assume she decided to turn right to bypass the congestion. As the below map shows, which can be zoomed out, the nearest through street to the west that parallels SE Cesar Chavez Blvd in this area is SE 37th Avenue. In addition to it paralleling SE Cesar Chavez Blvd, SE 37th Avenue and all the neighborhood streets in this area had very low traffic volumes so they are enticing as a detour to all the congestion on SE Cesar Chavez Blvd. Even though SE 38th Avenue looks like it goes through in this area, a neighborhood trail blocks automobile access from SE Taylor Street to SE Salmon Street so only non-motorists can access the trail. Since I’m assuming the motorist who almost killed me knows the local streets, she likely was aware of this trail so chose SE 37th Avenue. Unfortunately this isn’t the first time in Portland that I have almost been killed by a motorist running a stop sign or light. As the below Facebook post shows, a Portland police officer almost killed Drew DeVitis and I when we were biking towards the Hawthorne Bridge in downtown Portland because the police officer sped through a red light without sirens on. Even though I didn’t post about it on social media, I was almost hit by a motorist on SE Salmon Street at SE 17th Avenue last winter. I was biking downhill (westbound) on SE Salmon Street and the motorist was heading northbound on SE 17th Avenue. The motorist had a stop sign and I had no stop sign so I wasn’t expecting to stop. Instead of coming to a complete stop, the motorist did a rolling stop while glancing to see if any traffic was coming. He evidently didn’t see me so I had to slam on my brakes to prevent crashing into him. Thankfully, after I yelled “you had a stop sign!”, he stopped and rolled down his window. He told me he did stop but didn’t see me and apologized for almost hitting me. I said thank you to him for apologizing and stopping to talk with me. While I am thankful for still being alive after all these near crashes, what can I legally do in Oregon if I get in a crash and no police are present to report the crash? Oregon has a law that allows a citizen initiated citation. As this article discusses, the citizen initiated citation has been successful as long as you have video recording to show what happened. Since I don’t have a handlebar-mounted camera like a GoPro, I can’t currently have much success with a citizen initiated citation. Due to this, I’m seriously considering purchasing a handlebar-mounted camera to record all my rides. My 25th birthday is September 19 so I could purchase a GoPro for my birthday! I didn’t discuss it in this post, but I’d love to know your thoughts on whether and what types of traffic diverters could help with reducing motorists from using neighborhood streets as a bypass around congestion on major roads. 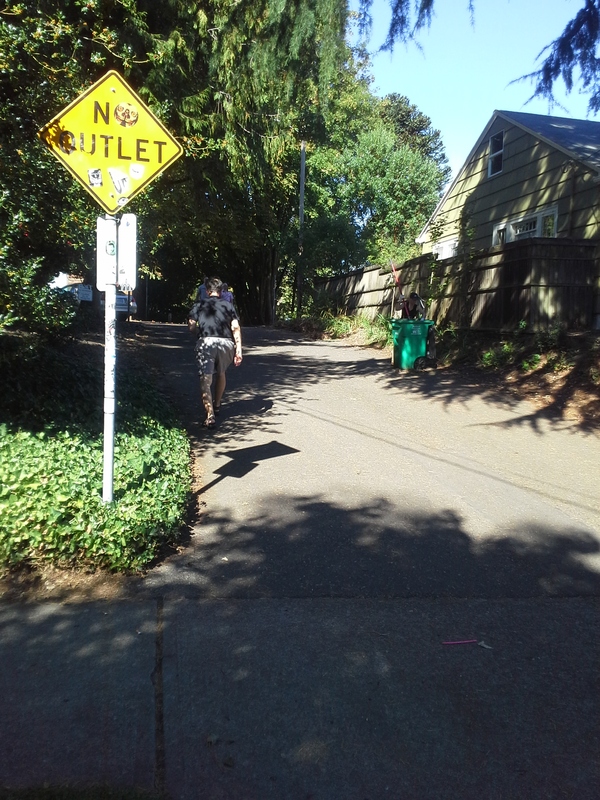 The Portland Bureau of Transportation (PBOT) recently published a Neighborhood Greenways report that includes examples of diverters so PBOT is looking at installing diverters. Where and what types of traffic diverters would you install?